If you are considering a kitchen remodel, most likely you have a good idea of what you want the end result to look like. Many times I arrive for my first meeting with a client and they bring out the “folder”. This is like peering into the design head of your client! I love paging through these ideas, Tuscan ,contemporary, classic, modern, log cabin rustic. Sometimes this little peek will tell a story…enough to get a true feel for a direction that would make the client very happy. Now for the clincher. I’ll do my best to bring those magazine photos to life. Choosing like materials that were in the photos, right down to the exact granite and similar backsplash. Then I’ll throw in a design that “I” think the house needs. And wouldn’t you know it. They choose the design that the house needed, not the one they been dreaming of for years. It doesn’t always work that way, but when it does, it proves that another set of eyes on a project can bring something truly unique to the table. With my 2 hour complimentary design service we can check out that folder, add some new twists and come up with the kitchen design you didn’t even know you wanted. Let one company manage your kitchen remodeling. I heard once that the cast of “One Flew Over the Cuckoos Nest” was actually a group of homeowners who tried to remodel their kitchens on their own. It can drive you crazy, cause divorce, stress and not to mention, irritable bowel syndrome. I’ve seen it happen and thank God I didn’t fall victim to it when we remodeled our kitchen. As marketing director of Stone Creek Furniture-Kitchen & Bath, I’ve seen how smooth the process can be when all the workers have experience working together and know exactly what to do. A kitchen remodeling project runs like a fine tuned machine, but if one of the workers is out of sync, it’s the homeowner that is going to overheat. Stone Creek Furniture has developed a team of professionals that “gets ‘er done.” In fact, the team can have you cooking in your kitchen within 10 days from tear down to completion. . I just did a survey with our kitchen customers and most said “having a company to do it all really made a difference.” Folks that “do it yourself” and hire the subs on their own can end up being without a kitchen for months! Plus, when you have workers that have never worked together, the lack of communication can be detrimental to your project and your health. And, when something goes wrong…the finger pointing starts and you’re stuck in the middle of it. Believe me; you do not need that kind of aggravation in your life. Watch the Money Pit one more time before you decide to manage your kitchen remodeling yourself. Stone Creek provides all the services needed including hardwood cabinetry, appliances, counter tops, carpentry, and plumbing and electrical. Our team has built hundreds of kitchens together and does everything you need for a successful, quick kitchen remodel. I remember getting married years ago and my husband couldn’t understand why we had 12 pillows on the bed. The way I figure it, he was just annoyed, because the rule at our house is, last one out of bed has to make it. Had he been the early riser and I was making the bed everyday then I am sure the subject never would have come up!! My point is this. Gone are the days of the 12 pillow bed. The bedroom is getting simpler. Colors are more serene and the pillow count is down dramatically! Page through any shelter magazine and you’ll get a feeling of comfort and refuge. Can you say sanctuary? Our bedrooms should be a special place where we unwind at days end, have intimate talks and heaven forbid watch TV. I’d you haven’t seen our collection of Stone Creek beds lately you need to take a peek. With over 25 finishes to choose from and great styling, you’ll want to add coordinating pieces to complete the look. Just keep those pillows to a minimum and you’ll have a fresh up to date look that will welcome you every time you walk into the room! My past three kitchen projects have jettisoned me into the lives of the people who live in very special homes. Even the smallest square footage will ultimately jumpstart ideas of life in a cottage kitchen. Produce from the farmers market on the counter waiting to be turned into some gourmet delight. Cabinets done in a warm white finish with classic stone tiles for a backsplash and you have a cozy, warm spot to entertain or give the kids a snack after school. I can stand in the space and become that homeowner for a few moments and imagine what life will be like in their new space. I think it helps me to be a better decorator. In a medium sized kitchen you can pretty much get all the bells and whistles you want because you have the space to do it. If budget and imagination are your friends then a great space awaits you at every turn. I can just see the grandkids making cookies at the island or a party of adults that make wine tasting look like kids play. This is a kitchen to be lived in…and a kitchen everyone wants to be in. Let’s talk about the BIG kitchen. I don’t come across these as often,but sometimes a large kitchen is a bigger challenge because at the end of the day you still want it to feel cozy. If it’s coffee and the morning paper at the island or 25 friends on a Saturday night trying out their culinary skills you still want your kitchen to feel warm and inviting. As I was standing in this raw space a few days ago I imagined being invited to this home for a party and it definitely would be an occasion to shop for a new outfit. This gracious residence made me want to become friends with my clients real quick. The warm finish on the cabinets and the granite that makes you wonder if it would look better hung as artwork. Now that’s a kitchen. All clients and kitchens are special to me. If your kitchen is small, medium or large it will be your perfectly sized kitchen. Let me help with my 2 hours of complimentary design service. In our advertising, we constantly drive the point home that you can get “furniture the way you want it!”. 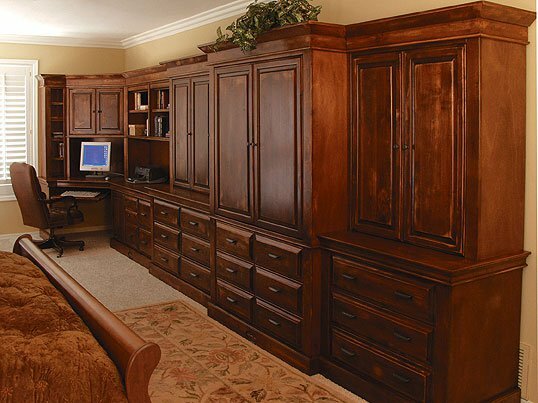 As an employee of Stone Creek Furniture I already know that we can give you exactly what you want. I see great furniture designs being loaded on the truck for delivery every day. Our repeat customers come back for that very reason, it’s the “new” customers that still seem amazed when we tell them how they can customize and make it uniquely their own. I guess I assumed that the message was out there loud and clear….but in fact I hear “really…we can do that?”. is special and unique to Stone Creek Furniture. When you can give someone a buying experience they can’t find elsewhere, at a direct price, and its built right here in the Valley….now that’s a win -win for everyone! That’s just the beginning. Let your mind wander and with my 2 hour complimentary design service we can come up with great ideas to make any room in the house uniquely yours! use it or a lazy Susan that makes finding the peanut butter so easy you won’t even mind making the kids lunches. I could go on about a bread drawer, utensil drawer or that special spot to hold those chefs knives, but now that I’ve got the ball rolling, you’ll want to add your ideas too. Let our expert kitchen designers guide the process and you’ll see that in no time at all you can be whipping up a great meal with time to spare. Maybe even get to that junk drawer that’s been bugging you!!! To get started, I’ll offer 2 hours of complimentary design service and we’ll make this new space a serene, organized, everything has a place , kind of kitchen. Let’s get started. Now that we’re staying in our homes and hunkering down till the economy brightens, the bathroom seems to be getting a lot of attention . Kitchens are still king when it comes to remodeling but the bathroom is claiming a very respectable spot on the remodeling ladder. The more things change, the more they stay the same. Take the classic 3×6 subway tile. It is a test of time material that looks good in glass, porcelain or tumbled stone. Installed in a brick pattern you can pull off a Traditional look that will never go out style. If classic modern is what you ‘re going for then have them installed vertically. In a shower, a mixture of porcelain and glass can be downright spa like. 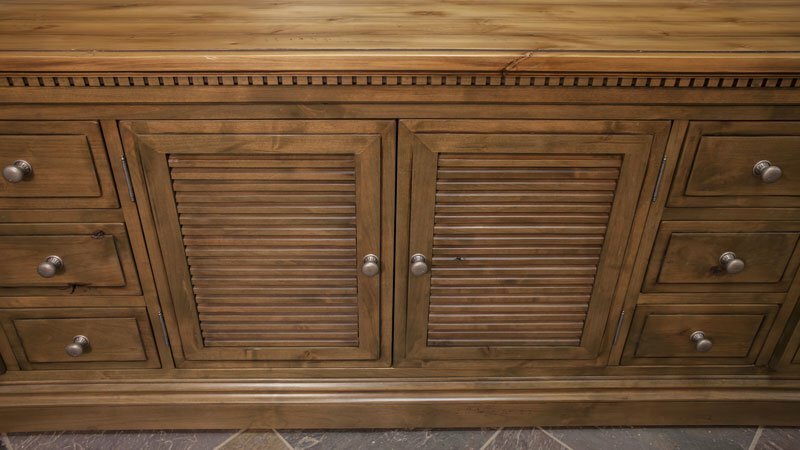 Team up with our Stone Creek cabinets and your new bathroom will be a favorite spot in your house today and tomorrow. The classics rule. I would love to bring your vision of a classic, test of time feel to your new space. We’ll do it together. OK ladies…how many times have you walked Into your TV room only to shake your head In disbelief that you are still living with a piece of media furniture that could qualify for something out of a dorm room. I’m not poking fun, I realize that decorating is a process and every room can’t be done all at once. However, design is very solution based and I have the perfect solution for good looks and a place to house your tv and electronics. I invite you to take a peek at our architectural media wall. It’s the charm of cultured stone, smooth, warm toned wood beams that will show off your favorite pieces, and hubby can have the tv of his dreams, all in one place. Top it off with drywall, accent paint color, lighting and a handsome cabinet to house the electronics. With friends and family about to descend on your doorstep for the holidays, you’ll be showing off the “new focal point” of the room and it won’t be the TV!! It’s this time of year in Phoenix when our thoughts start turning to either getting the neighbors over for a glass of wine on the patio or really thinking ahead to the holidays. If you live here you know when the air changes from “cake in the oven hot” to “aah” that change is about to happen. This is exactly the time my husband starts to hide on Saturday afternoons. He knows I’ll have some task that must be done before the first guest arrives. One of my Stone Creek Kitchen clients asked if she would be cooking In her kitchen by Christmas. She had a couple of generations coming and she knew that her oven would never stand up to the rigors of culinary expertice that her family demanded (and expected) out of her cramped kitchen. We started narrowing down her granite and backsplash choices, discussed flooring and cabinet finishes. The answer was yes! She would be in her kitchen by the holidays. Not only was she going to be in her new kitchen, she had time to invite the neighbors in for wine and cheese before the first run to the airport ever took place. Let’s get moving. Your kitchen can be designed, granite slabs selected and the perfect wall color expertly applied. You really can celebrate the December holidays surrounded by the oohs and aahs of everyone that enters your home. Got to go. My husband is making himself scarce again. I heard my boss say a few times in the last week that we need to work like a “team”. I was thinking how lucky I was to be a part of the Stone Creek team. My week started out with appointments from one end of the valley to the other. Making every kitchen design unique to the owner and not repeating myself keeps me hoppping. Slugging samples of the newest glass tiles and flooring, cabinet finishes and hardware for cabinetry tucked under my arm, I resemble one of those door to door salesmen I remember as a kid. He would sit on the front porch with my mom and surrounding neighbors, pitching that well honed sales pitch that would be repeated as he went down the street. That rush of anticipation when I ring the doorbell is always the same. I can’t wait to get in the door and share my ideas for the new space. Some call it adrenaline rush, but for me it’s just that old fashioned way of relating to people and making the space they have even nicer. In a small way it changes their lives for the better. Back to the team thing. Before I get to the front door, many of our team players have worked to photograph and advertise our product. Our engineers add their magic and the men that build our beautiful product take a certain pride in building, sanding , staining and delivering a product that has been sold by one of our kitchen specialists. I get to see the process from beginning to end. The smell of sawdust from a freshly cut piece of wood that will become your kitchen to the guys loading your finished kitchen on the truck. I am so proud to be part of the team. I think I’ll go tell the boss that we do work as a team. I see it everyday! I would love to help make your new kitchen the space you always dreamed of. Fill out the form and our team will get to work. Join the Presidents Club today! 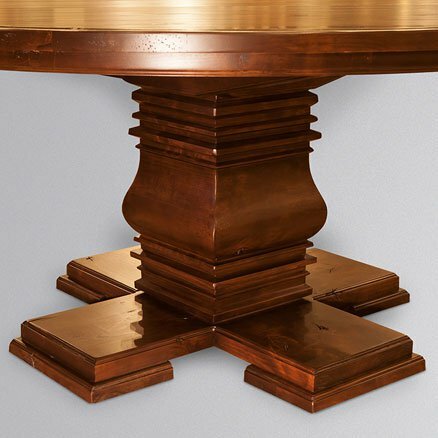 Receive exclusive President’s Club offers and special sales incentives from the president of Stone Creek Furniture. Sign-up Today for Discounts, Privileges, and much more!